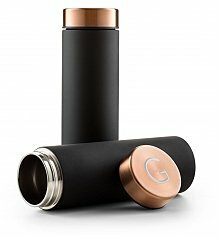 Stainless steel matte finish travel mug with copper lid. Complimentary engraving of your chosen initial on lid surface. 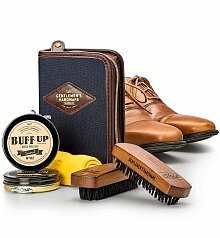 Complete with hard and soft brushes, an ultra-soft shine cloth and tins of polish in black and neutral colors, this buff and shine kit has everything a gentleman needs to keep his shoes buffed, polished, and ready for anything. Black and neutral polish for casual or dress shoes. 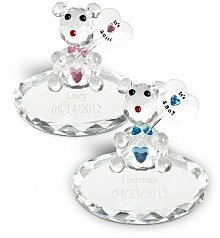 Add sparkle to the new baby's big day with a teddy bear figurine that the proud parents can display as a special keepsake. 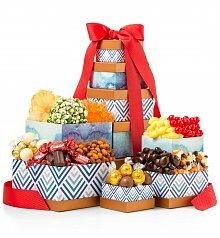 Five exclusively designed gift boxes stacked in a tower with satin ribbon. Includes complimentary card with your personal gift message. Eucalyptus Shampoo, Conditioner, Shower Gel and Lotion. Herbal Hand Cream, Honey Facial Bar and Body Soap. Pumice Stone, Loofah, Massage Tools and more. 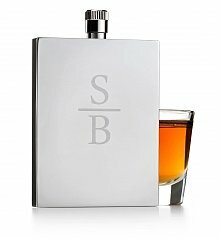 Ultra slim stainless steel flask accommodates 3 ounces. Enjoy complimentary personalization of your chosen initials. ﻿﻿﻿You Tell us what you like.